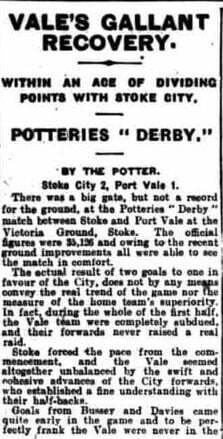 A clipping from 1914 recalls how a “gallant” Port Vale side suffer a narrow defeat to their neighbours. 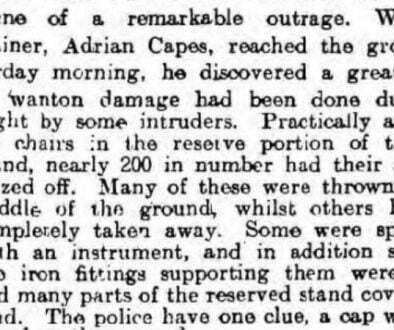 Many thanks to Kev Walshaw for providing these clippings. 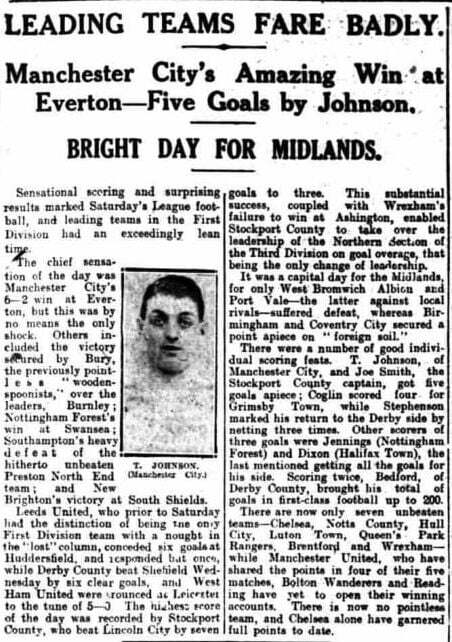 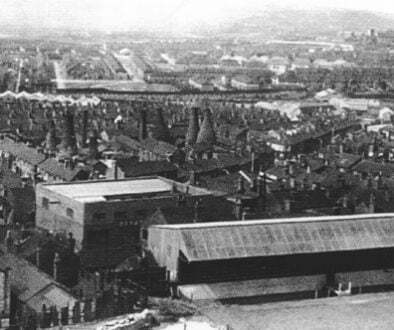 The game took place during the 1928-29 season with Vale managed by Joe Schofield. 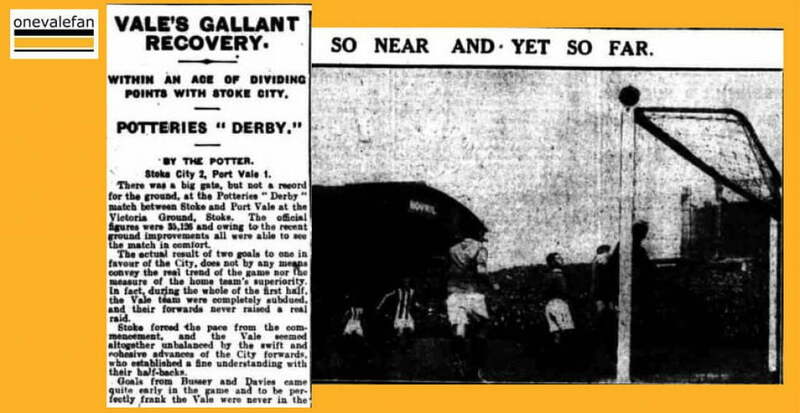 The return fixture also ended in a 2-1 win for Stoke. 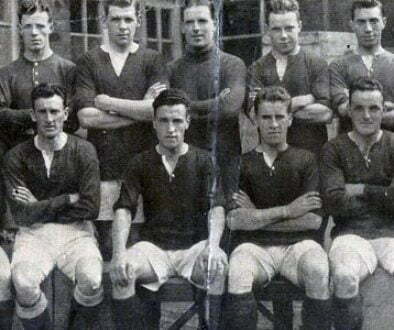 The season ended with the Valiants relegated from Division Two while Stoke finished in sixth place. 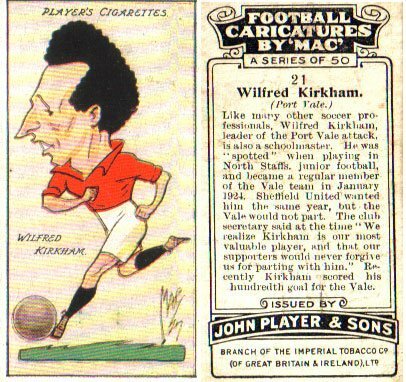 Wilf Kirkham (right) finished as top scorer with 15 goals but he was sold toe rivals Stoke for a record £2,800 when the season finished. 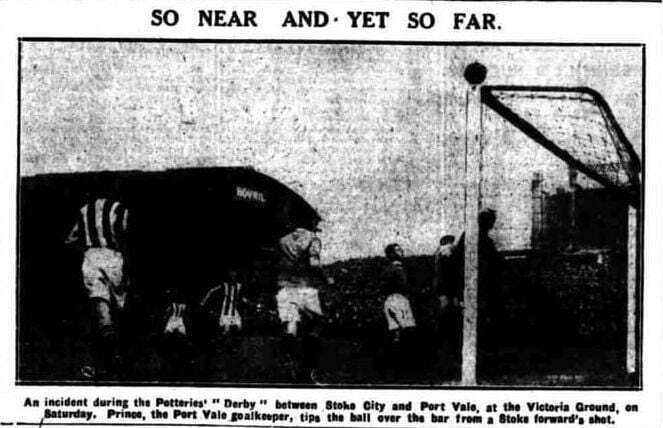 Interestingly, the Valiants were playing in a red kit at the time of this match.